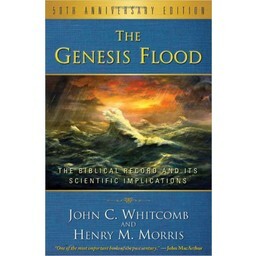 This collection of creation science essentials, authored by Dr. John D. Morris, Dr. Jeffrey P. Tompkins, and Mr. Frank J. Sherwin, shows God's sovereignty and design in the cell, the flood, and the fossil record. The functions within the cells of our bodies are foundational to our existence. Understanding these functions has made the environment and the processes of our lifestyles healthier, more enjoyable, and more productive. All of humanity has benefited from the life sciences and the scientists who have dedicated their considerable skills to uncovering the functions and processes of the multifaceted variety of cells. Although scientists have discovered, documented, and developed wonderful insights about the complex information, precise sequential processes, and unique interwoven controls within cells, there is a huge chasm among scientists when they try to understand how these highly efficient processes got started in the first place. The majority of scientifically trained biologists and geneticists are taught that the apparent design that is observed in cells is the result of only random chemical and energy processes operating over eons of time. Such a belief system prompts their thinking to rest on purely natural logic, producing materialistic conclusions - and often ignoring or marginalizing the implications of careful engineering and design. There are, however, multiple thousands of scientists who accept the Bible's message that there is a Creator who planned the creation, designed the intricate engineering efficiencies in that creation, and then built the product: our planet and its wonderfully unique life and functions. That belief system not only fits empirically with what is observed (design, precise function, operational efficiencies, etc. ), but provides insight that enables creation-based scientists to grasp the significance of the information more readily - without having to invent a supposed eons-long story for the development of what is actually observed. Dr. Jeffrey Tomkins and his contributing colleagues have provided an excellent resource that will document and help explain the intricate processes of cells and give keen insight for "clearly seeing" the obvious hand of the Creator in the "things that are made" (Romans 1:20). The study of geology is a daunting task, especially when investigating ancient rock, strata, and fossils. What do the rocks and strata tell us about the geologic history of the earth? How do fossils help us unlock the mysteries of the geological catastrophes of the past? The Global Flood helps to meet a great need today. It is comprehensive. 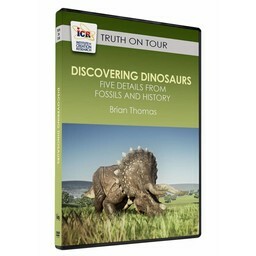 It is aimed at those who are not experts in earth sciences. People everywhere need to understand the true significance of the year-long, mountain-covering Deluge that buried and fossilized trillions of marine and land animals and plants only a few thousand years ago. Over 95 percent of these fossils - even within sedimentary strata seen in the highest mountains of the world - are marine creatures! We don't need to stretch the creation week of Genesis 1 to allow for this. The fossils were formed after, not before, Adam! Without the enormous hydrodynamic work of the Flood, we could not know this. Now the Christian world has no excuse - if they ever had any - for adding millions and billions of years to earth history. Evolutionists rely on the fossil record for support of their theory, but what does that record really reveal? 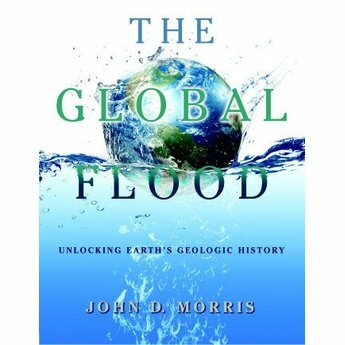 ICR geologist Dr. John Morris and zoologist Frank Sherwin unearth the evidence of earth's history and conclude that the fossil record is incompatible with evolution, but remarkably consistent with the biblical account of creation and the great Flood of Noah's day. The evolutionary interpretation of the fossil record holds power only if the alternative is censored, but censorship is not truth; there is a better way to think. Adopting evolutionary naturalism as one's faith and guideline for life makes no sense if there is a God who has spoken. 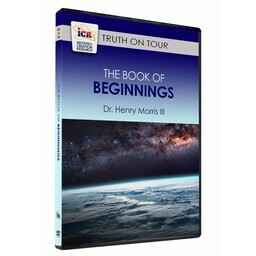 This book can help you examine the evidence and discover the Creator of all things. Total Shipping Weight: 5 lbs. 11 oz.